In tandem with the start of Paris Fashion Week, the second edition of the LVMH Young Fashion Designer Prize opened its showroom on March 4-5. The semifinalists presented their creations to a panel of experts who will select the finalists. Twenty-six young designers selected by the LVMH Prize committee came together in the heart of the atrium at LVMH headquarters on Avenue Montaigne in Paris to present their work to a committee of international experts. The committee – comprising journalists, stylists and buyers – will select the finalists. The young designers will then pitch their brand positioning, collections and development outlook to a jury of nine creative directors of LVMH brands, who will choose the winner. 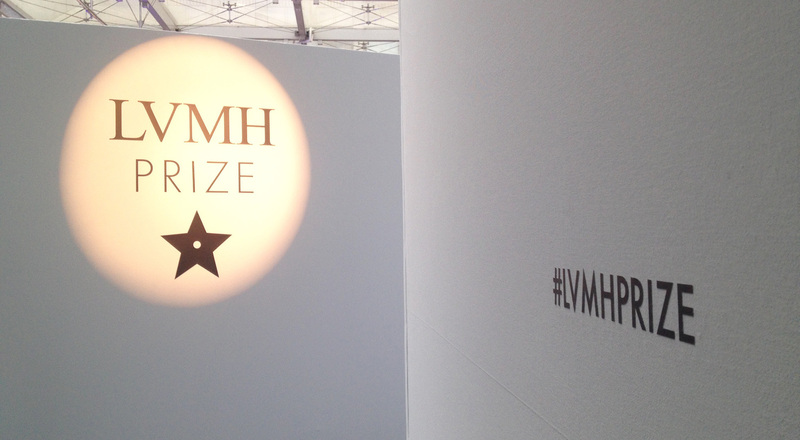 Launched in 2013 to uncover and support new fashion talents, the LVMH Prize announced its first winner in 2014. Each year the prize recognizes a young fashion designer who receives a grand and mentoring from the Group in all the key areas essential to growing a nascent brand. The Prize also gives awards to three fashion school graduates, who receive a grant and a chance to work for a year with the design team at an LVMH brand. “As the leader in its sector, LVMH has a responsibility to help identify and support young designers. I’m absolutely delighted to see so many tremendously talented candidates here again this year” commented Delphine Arnault in launching the 2015 LVMH Prize.